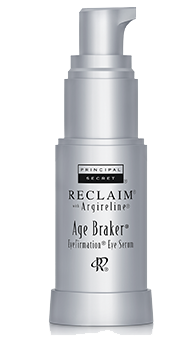 "Reclaim® is something you can do in three steps, three minutes, morning and night, that will truly affect the way you look." First, take the Reclaim® Cleanser: rich and creamy, with a fresh melon scent. Wet your face and spread it all over. Then, using a wet washcloth, remove the makeup, mascara, grime and other surface impurities. Then, go to this moisturizer: also rich and creamy with the scent of fresh melon. Apply a substantial layer all over the face, including the neck. 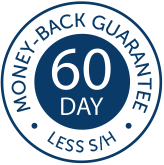 It’s effective, simple, easy and affordable. 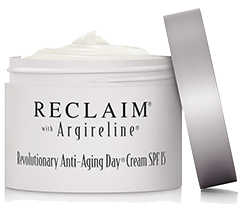 It's time to take your anti-aging regimen to the next level—with the Reclaim® collection. Actual un-retouched photos individual results will vary. because it was... literally glowing! Copyright © 2003-2019 Guthy-Renker®, All rights reserved. 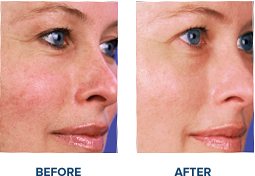 Argireline® is a trademark of Lipotec.